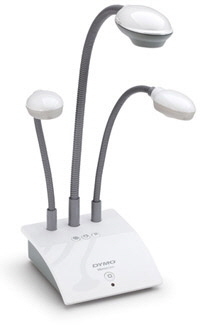 The MimioView￿￿document camera is fully integrated with MimioStudio software and the MimioTeach system, making it easier than ever to capture images and present them in your lessons. Enjoy effortless setup - just connect the camera to a USB port on your computer and you're ready to capture images. Zoom in close on your subjects and capture images at an angle with the camera's gooseneck arm. Align documents easily with the convenient straight edge on the camera's base, for perfect placement every time.